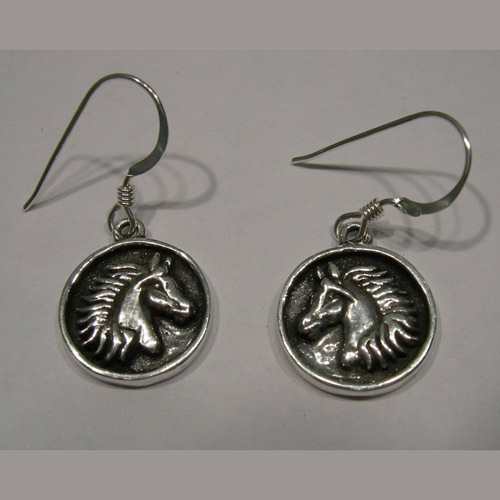 Desc: Sterling Silver round horsehead dangle earrings. The horsehead is inside a round disc. The mane of the horse is flowing behind him. There is antiquing behind the horsehead. The earrings have a bright polish finish.